Every year, WordPress.com sends us an email with a summary of weblog activities. The statistics include “The Most Views” post and that was how we found out that one of our posts being the top post throughout the years. 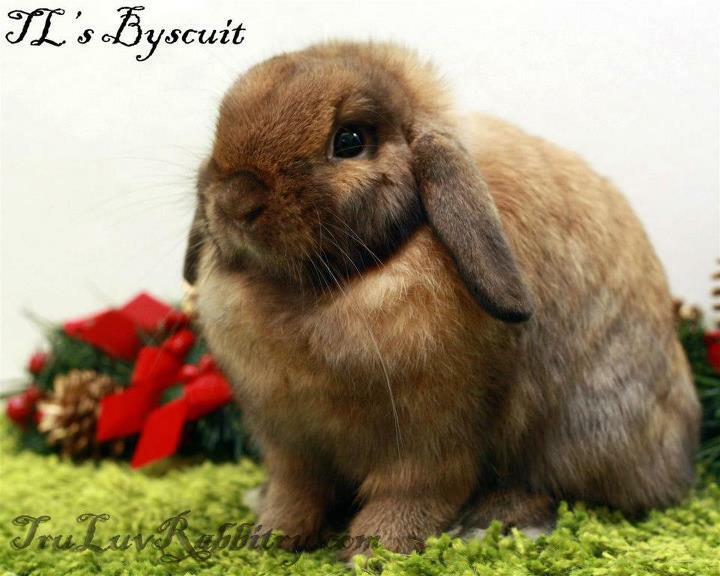 Another amazing information we found out through the summary is that we have been listed as one of the references in WabbitWiki.com – Baby Rabbits. What an honour to be referenced by such a wonderful site. We were also very excited to see an article written about Weaning Baby Rabbits by our dear friend Golden Pines Rabbitry being referenced as well. We would like to thank the people who found our post informative and worth being a good reference for the rabbit community at large! While surfing the net this morning, I fell in love with a website and I think I am hooked. 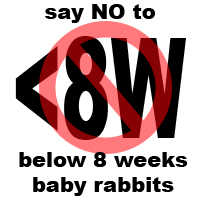 Let’s just say that I am a little bias because the word “Rabbit” is part of the title of the website and it is Monday. 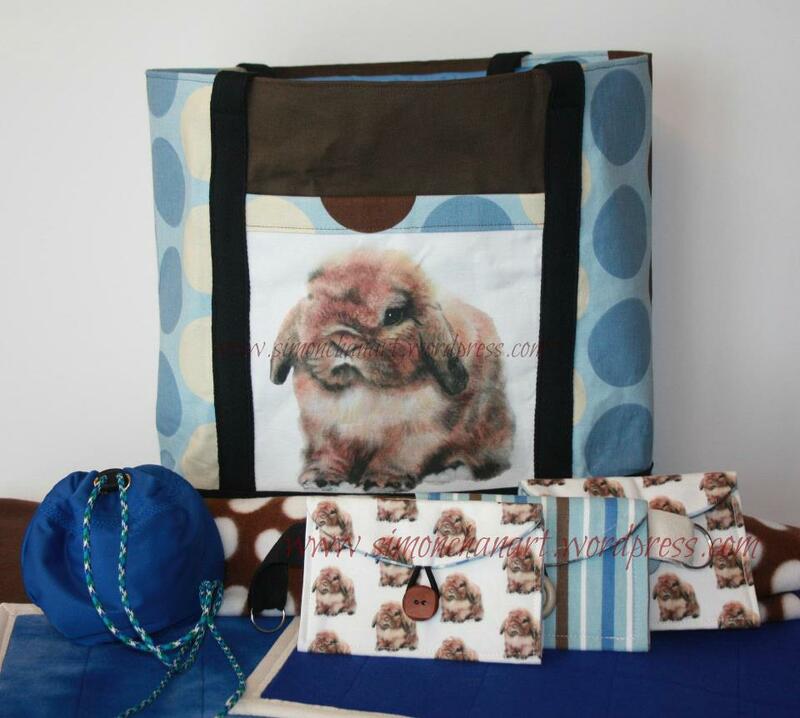 But I really did fell in love with grouchyrabbit.com because it “had me at hello”. I guess it is time for a product review. What do we all know about Hamsters? 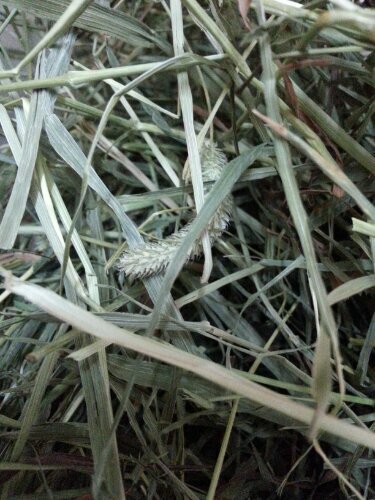 Many people love them because they are cute especially with all the accessories like tunnels, running wheels and connecting fancy enclosures just to name a few. I believe those of us who have raised Hamsters at any point of our lives also know for a fact that they do have repulsive urine odor. 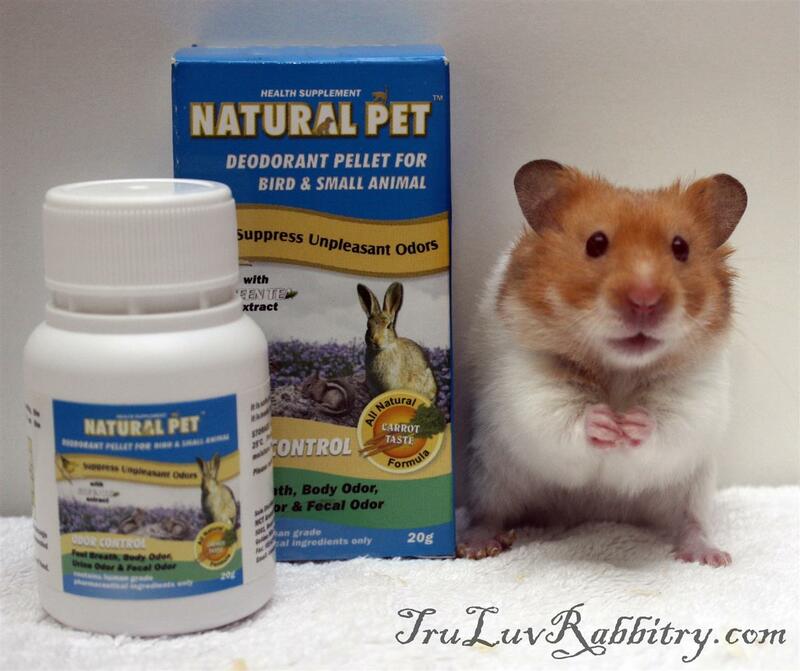 Having had success using this product on my rabbits, I decided to try it on my daughter’s classroom pet hamster. The idea of getting a “smelly” Hamster made the missus a little uncomfortable but surprisingly, she was the one who noticed the absence of odor when we started feeding Hamtaro the Natural Pet Deodorant Pellet For Small Animals. 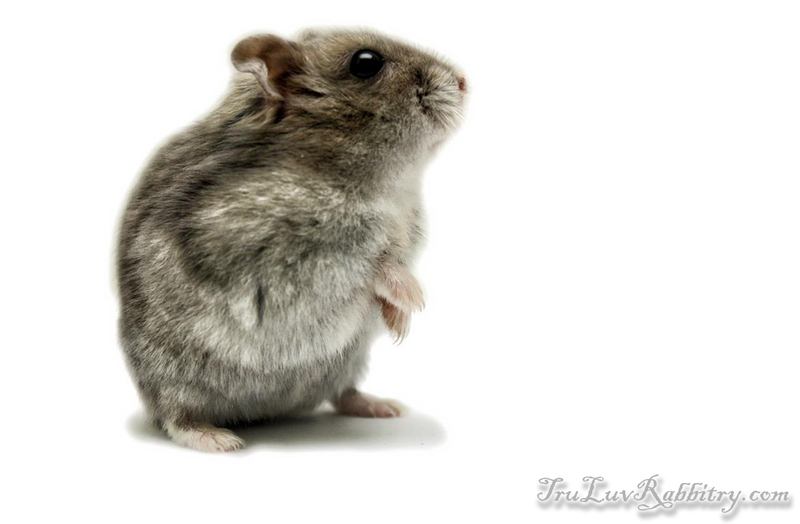 Meet Hamtaro, Beth’s little classroom pet and fellow resident at Tru-Luv Rabbitry. No more odor! And your hamster will beg you for more!!! Hamtaro loves the mushroom extract pellet and we enjoy having him around the house without the repulsive odor that comes along with any regular Hamster. 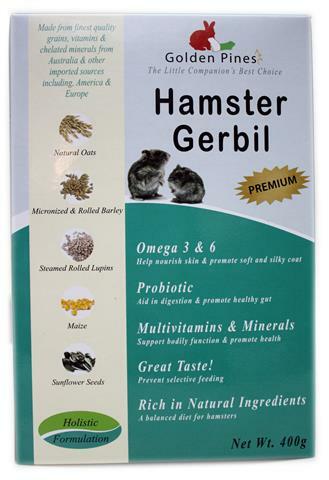 It really makes it a pleasant experience raising Hamster with this wonderful product. Give it a try today by purchasing it online at TinyCritterz.com for only RM 20 (excluding shipping)! It is only natural for awesome people to come together and create beautiful things together. So it is in the case of the people behind The Show Table and my father, Simon Chan. For some time now, Simon has been creating beautiful paintings of rabbits in particular, which have been enthusiastically received across the globe. 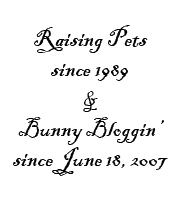 We were looking for ways to reach additional rabbit (and other pet) fanciers and that was when Ms. Gina of The Show Table approached us with an amazing idea. We love her products and she loves Simon’s paintings – the rest, as they say, is history. In fact this is a historical moment because this collaboration took place across over 9000 miles from the capital city Kuala Lumpur, Malaysia to South Bend, Indiana, USA! Without further ado, here is the WORLDWIDE PREMIER of The Show Table featuring Simon Chan’s Art!